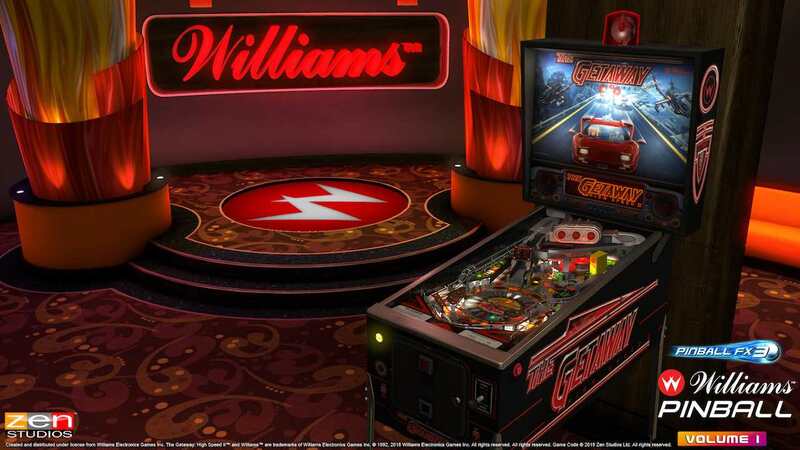 Zen Studios has announced that tables from the world-renowned Williams and Bally pinball collection will soon come to Pinball FX3. The global agreement has granted the developer with the digital rights to the full Williams and Bally pinball library, with the first released in 2018 to include Fish Tales, Junk Yard, Medieval Madness and The Getaway: High Speed II. “Most of our developers grew up admiring Williams and Bally pinball machines, and we at Zen are devoted to treating these beloved tables with the respect they deserve for years to come in digital form,” explains Zen Studios managing director Zsolt Kigyossy. Pinball FX3 is now available on the Nintendo eShop for Nintendo Switch worldwide.